Just why does the Huawei Mate 10 Pro omit so many “pro” features? Early this year, while I was still reeling from the Note7 disaster, I was on the hunt for a large, powerhouse Android phone. Traditionally I have two phones I alternate between, a smaller and a larger one. Usually one of these is an iPhone and the other is a large Android since I prefer Android over iOS on a large display. The Note7 left a hole in my lineup last year though, and while it was filled with the LG V20 that phone just didn’t cut it for a number of reasons, from the encumbering software to terrible light bleed. Early this year though, I was walking through my local Best Buy and saw the Huawei Mate 9. Now Huawei is a brand that I had heard of, but never actually used outside of a very short stint with the Nexus 6P. While I admired their build materials, the 6P left a pretty bad taste in my mouth from my unit chipping around the camera bezel after a few short days, and their construction choices resulting in ‘Bendgate II’ and general fragility. But the Mate 9 called to me: It had minimal bezels, a large 5.9” display rivaling my old Nexus 6 in size, a dual speaker setup, a new-to-me dual camera layout, along with a massive battery. Its large display was beautiful despite its lower resolution, likely due to using IPS LCD and its RGB subpixel layout instead of the crispness-killing Pentile AMOLED that phones like the OnePlus 3 used at the same 1080p resolution. EMUI was also a solid performer delivering a smooth Android experience despite its flaws, which ultimately prevented the Mate 9 from becoming the best phone for me and my needs. So when Huawei began talking about this year’s Mate 10, I was unusually excited. However, that hype quickly dissipated as Huawei announced what is likely the most confusing phone duo (or trio, if we count the Porsche edition) we have seen yet, with odd omissions from each model and terrible global availability. Where do we even start? If you were hoping that the Mate 10 would be a no-frills all-out flagship like the Mate 9 was, but with 2017 hardware updates… then prepare to be disappointed. While it is an improvement over the Mate 9, it also is not the large upgrade we have come to expect from some of this year’s flagships. They did see fit to upgrade to a QHD display, but it retains its 16:9 aspect ratio resulting in a wider than standard device. Some people prefer this layout and while I can see why they do, the advantages afforded by 18:9 are massive if done properly (especially when screens get this large). They also kept the 3.5mm headphone jack (thankfully! ), but weren’t able to add any sort of viable IP rated water resistance. The battery sticks with the Goliath 4,000mah capacity, but RAM remains at 4GB. The phone is a little narrower and considerably shorter, but Huawei ditched the aluminum unibody design for a glass back simply for eye appeal without adding any of the benefits glass brings, like the ability to have wireless charging. A note to device manufacturers: if you are going to force glass on us, at least make it so we can argue away its downsides with benefits like wireless charging. This feels a lot like the HTC U11, which is glass for the sake of being glass with all its downsides and none of the benefits. Nokia proved earlier this year that you can make an eye-catching aluminum design that is stronger and more durable. As I mentioned earlier, the Mate 10 is an improvement in many areas over the Mate 9, especially when you factor in Huawei’s new AI enhanced camera system, but it is not quite the huge leap some of us may have hoped for. It’s certainly not the thorough leap I expected, with some of its biggest virtues being the presence of a 3.5mm headphone jack (meaning the fact that they didn’t remove a feature). While I expected a powerhouse device, most of the upgrades here are half-baked in places where there’s still room for improvement, as other 2017 devices have shown. 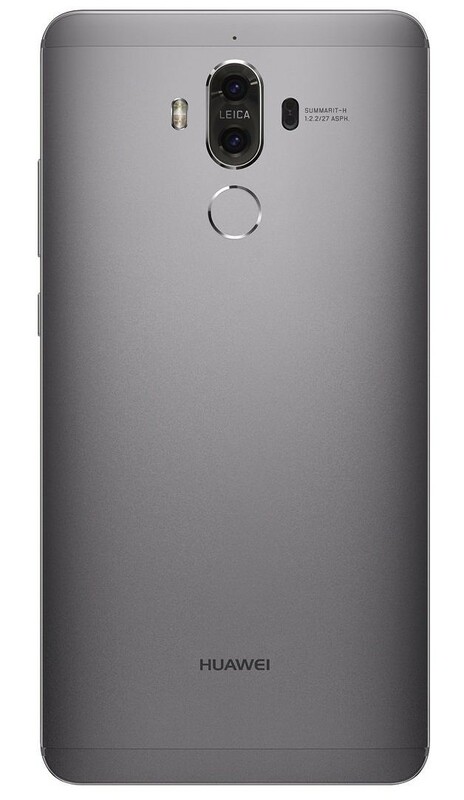 But for those of us who want a little more than the Mate 10 provides there is the Mate 10 Pro… right? When Huawei decided to bring back the Pro version of the Mate this year, they might have forgotten exactly what “Pro” means. 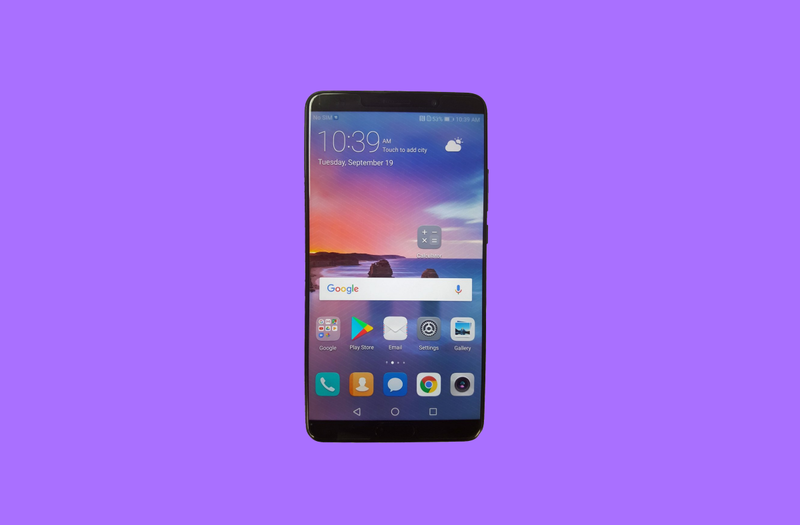 While the changes between the Mate 9 Pro and Mate 10 Pro are similar to the improvements seen in the standard versions, there is one critical and deal-breaking spec that Huawei bewilderingly stepped down in. Last year the Pro model had a 5.5” curved AMOLED display with a QHD resolution, this year the Pro model ships with a larger 6” 18:9 AMOLED panel but at a lower 1080p resolution. So to get this right, the standard model went from FHD to QHD, and the Pro model went from QHD to FHD. The additions of HDR support and the taller 18:9 aspect ratio do not make up for this large decrease in resolution over the standard version, it’s a nonsensical step back from a device that’s supposed to be the “Pro” version of a powerhouse flagship. One thing to note is that the total area of the display is a little smaller than a traditional 16:9 6” display reducing the PPI hit somewhat with the Pro landing at 402PPI — still not enough, but better. Huawei did add IP67 water resistance to the Pro but removed the 3.5mm headphone port despite this year’s Pro being larger in nearly every dimension compared to last year’s, which had the port. And, again, it makes us wonder just how this can possibly be the “Pro” version of the Mate 10, when it’s clearly regressing in a valuable features that Pros may desire in a phone. Further, the phone still does not support MicroSD expansion like its sibling does either, but it does ship with (up to) 6GB of RAM and 128GB of internal storage, a substitute I am certainly ok with (and I’d argue this is what the regular Mate 10 should have offered in the first place). These omissions and downgrades in the “Pro” model leave me scratching my head wondering why these are even in the same family of phones, or why they are called a “standard” and “Pro” model. Regardless of your needs or wants in a new phone you will likely find yourself straddling both devices. The Mate 10’s SD card expansion, QHD display, and 3.5mm headphone port, are appealing as are the Pro’s 18:9 aspect ratio, water resistance, and 6GB of RAM. Despite its older 16:9 aspect ratio, which some users may actually prefer, I feel that many users would find themselves in the standard Mate 10 camp despite its downsides (and because of its lower price tag). Unfortunately, for those of us in the US and UK at this time are left to think about what could have been, since the phone will reportedly not be making it to our shores leaving us with the unimpressive, underwhelming and likely overpriced Mate 10 Pro as our only option. Phone duos seem to be a big trend lately, with nearly all mainstream flagships being offered in two models shipping together or arriving at nearly the same period. In some of these cases like with the Galaxy S8 or 2016 Pixels, the differences are small, relegated to the display and battery size. In other cases the changes are a bit larger, like with the 2017 Pixel models, but in these cases the compromises are small enough to be ignored when taking into account that each device targets a different kind of user, particularly due to the differences in form factor. Because the Mate 10 and Mate 10 Pro have a more similar footprint, and are being targeted as a regular and improved variant instead of two sizes for two customers, the compromises in the “Pro” version stand out. Huawei did do a number of things good this year especially in terms of the camera performance, something that I personally thought was good but not great last year. They are also continuing to improve their Kirin SoC and AI offerings and look to really be a formidable foe should they ever decide to start making headway into the US market. Huawei yet again looks to be a strong force in terms of the Android market and being one of the first OEMs to ship Android Oreo on a new phone is something they should be really proud of, especially with such a heavy handed skin, and helps them stand out in a crowded space. It’s frustratingly annoying that tje Mate 10 duo is so middling and that some consumers are left with one, less preferable choice between the two. Don’t get me wrong, Huawei has a very good set of phones this year. These phones look to further increase Huawei’s growing numbers and put even more pressure on Apple and Samsung, who have to be worrying when and how Huawei will truly break into the very profitable US smartphone market, I just wish they released one fully featured device (a true Pro variant) or followed a more-Google approach, sharing most of the hardware and features with the exception of the size and screen aspect ratio, making choosing the right phone for you even easier. Right now, each phone features an odd set of compromises with the Mate 10 Pro being the most confusing premium variant of a premium flagship in recent memory. What do you think about the Mate 10 and Mate 10 Pro? Which one would you choose? Let us know!